NEW YORK (WABC) -- The New York Giants had a perfect opportunity to rid themselves of head coach Ben McAdoo weeks ago. They chose to stick with him. Firing McAdoo now accomplishes nothing. "I'm going to coach this team as long as my key card works," McAdoo said after Sunday's 24-17 loss to the Raiders. After everything that's happened this week, there was no point in changing the locks until the end of the year. The Giants had not fired a coach mid-season since Bill Arnsparger in 1976, and many felt it was that franchise tradition that saved McAdoo after a lifeless performance in Week 10 against the then-winless San Francisco 49ers. At that point in the season, two players had gone AWOL from practice. 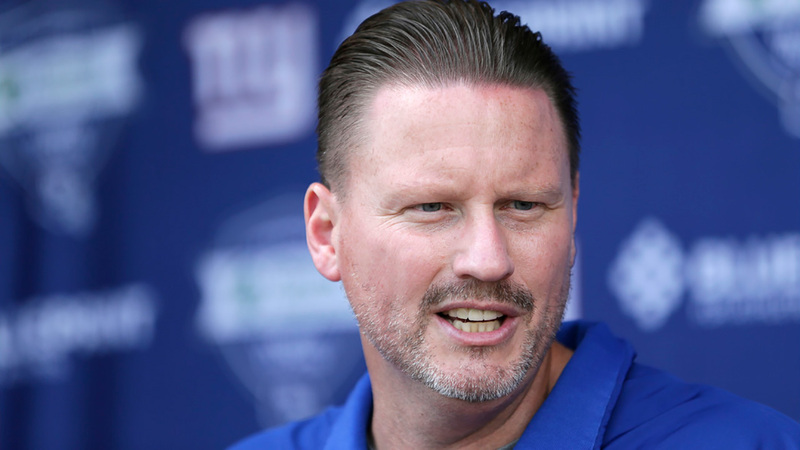 Despite rumors that McAdoo was on the hot seat, the team refused to budge. "Ben McAdoo is our head coach and has our support," ownership said in a statement after that game. "While we appreciate that our fans are unhappy with what has occurred, nobody is more upset than we are." If ownership thought Giants fans were upset then, they had to be blown away when word got out that Eli Manning would be benched against the Raiders in Week 13. The decision meant Manning's games-started streak would end at 210. Fans reacted by threatening to protest the team's next home game against the Cowboys. The uproar from fans was expected, but even Eli's former teammates were disappointed. The Giants certainly needed a fresh start after this disastrous season, and that should include moving on from McAdoo and GM Jerry Reese. But they had a chance to cut the cord already and chose not to, and that decision created an even bigger nightmare that could affect next season. Firing McAdoo now only does one thing -- it costs Giants fans an opportunity to give him a piece of their mind next week at MetLife Stadium.